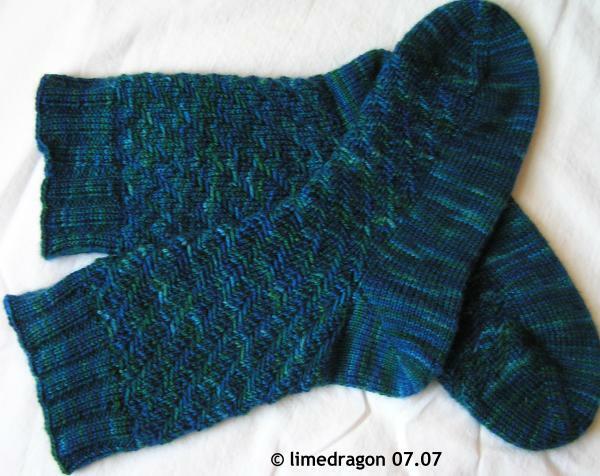 Schr�dinger has posted her sock pattern! She provides both cuff-down and toe-up instructions. 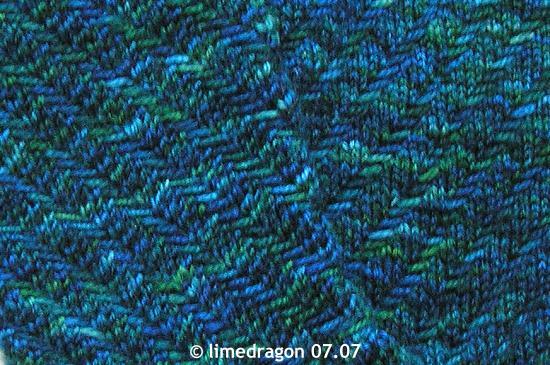 I think it’s a really nice unisex pattern that works well with tonal or subtly variegated yarns. Her socks are knit in a great Trekking XXL colorway. I chose to knit these toe-up to maximize the yardage. There were exactly 4 grams left when I bound off, perfect! The majority of the knitting was completed in a car ride up north and back (~5 hours each way). The tweed pattern was just the right combination of complexity and simplicity. It was very easy to track my place in the repeat visually with quick pauses from my reading. These socks are too wide for me, which is a good thing, because the yarn was earmarked for charity socks; if they had fit, I would’ve been tempted to keep them. If there isn’t a local Socks for the Homeless drive this winter, I may donate these to Pine Ridge or something similar. Not least of all, these are my first socks to qualify for Summer of Socks 2007, since they were begun after the knitalong started. Yay! I’m so glad to get the pattern out. And I really do appreciate you testing out the pattern for me. Your socks look fabulous! The color is just awesome! Very texture socks. Beautiful socks and a great pattern! Just queued these up in Ravelry. Thanks for sharing! Looks great. Love the colourway. Beautiful! I love the colors in that yarn. Very cool socks! The texture is definitely interesting. Great color and great texture! Thanks for the link. Beautiful socks! Great socks! Thanks for the pointer to the pattern. Hi! This is your sockpal, checking in. I am SO SO sorry, but I haven’t yet finished your socks. The two weeks before the deadline were spent moving apartments and packing to go to Europe. I’m in Poland and knitting away in my spare time. I’ll mail them as soon as I return! Again, I’m SO sorry. I ran into problems with making the socks mirror each other, and then life got in the way. Really gorgeous socks. That pattern really suits the yarn. 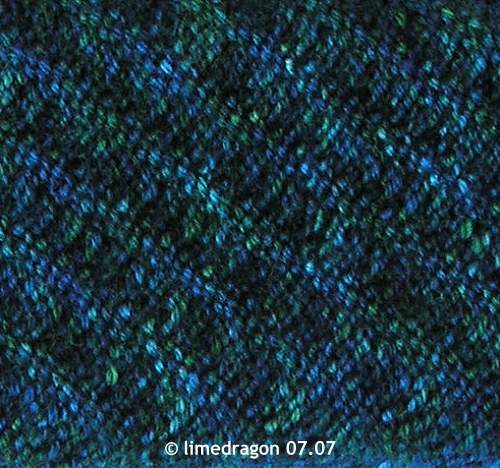 I’m definitely putting this pattern on my Ravelry queue. Beautiful socks! I’m off to download the pattern. Wow, those are so cool!! 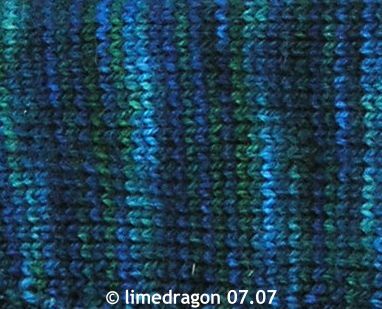 In the far picture – the pattern looks likes scales – with your yarn color – almost mermaid-like. I’ll add it to the list. They are soo gorgeous. I love that colorway. Great pattern. Gorgeous! I must go check that pattern out.